Inspection and maintenance ensure continuity in your company! 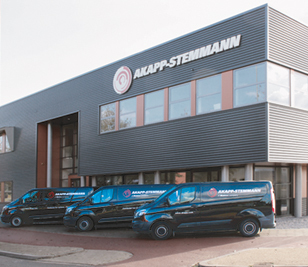 The high-quality Akapp-Stemmann conductor systems have been used for over 40 years in numerous industrial sectors, often under extreme conditions. Our power supply systems are designed to ensure continuity in the electrical supply and control of devices such as cranes, hoists and concrete furniture under demanding conditions. However, a perfectly functioning system is not possible without (periodic) maintenance. We are happy to take care of this for you! Reliability = product properties + maintenance! In particularly very humid and dusty environments, very high demands are placed on these power supply systems. In addition to correct installation, cleaning and maintenance are of great importance to ensure continuous usability. Our service department takes care of the installation of new busbar systems as well as maintenance and service. Maintenance of other brands of busbar systems can also be carried out by our service department. 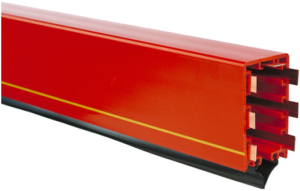 Have your power rail system inspected and serviced by Akapp-Stemmann. After inspection you will receive detailed advice about the status of your system (s), advice for maintenance and possible replacement. When we carry out the maintenance of your busbar systems, our expert fitters ensure that your installations function reliably and that valuable time is prevented by failure! Always be prepared and have your busbar systems serviced periodically by us. We will discuss with you when this can be done at a moment that is convenient for you. Your systems stay in the best condition and you get a good insight into their status. This way the chance of failure due to faults is reduced to a minimum and you no longer have to worry about it! That saves you worries and valuable time. If you want to know more about the advantages of (periodic) maintenance of your busbar systems and the possibilities that our service department has for you, please send the Info-form Service to us. We will contact you as soon as possible to discuss your wishes.